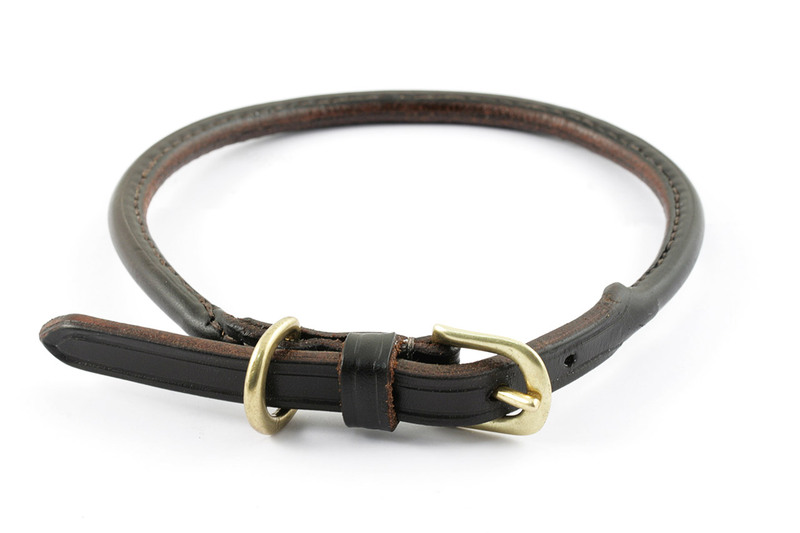 This is a size S tag collar with 1/2" west end buckle and dee. 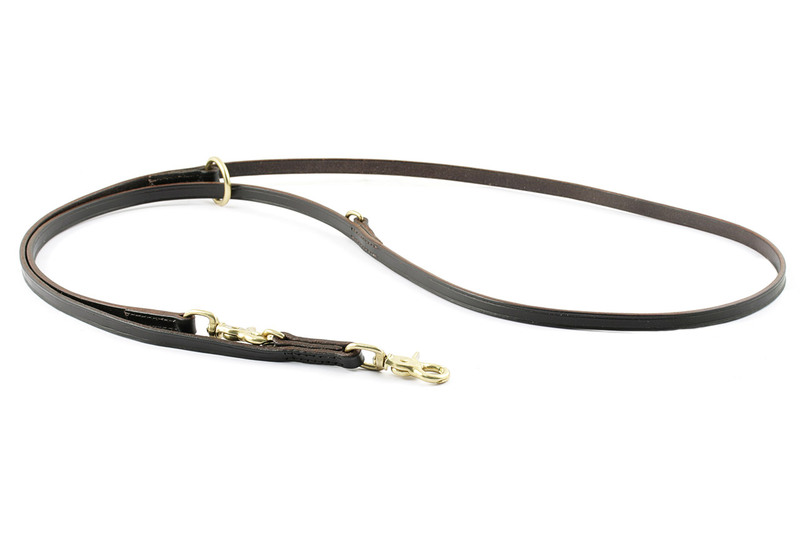 This is the matching training leash with 1/2" scissor snaps. Both made in dark havana leather with solid brass fittings.